Long waits in waiting room. Last visit waited 2 -1/2 hours past my morning appointment time to see the doctor. I’ve been a medical professional for 20 yrs. I’m thankful for Melanie & Dr Schaflestein. They are both very patient, thoughtful, and truly care about the people they serve. I always seem to be in a hurry when I go there and have never had to wait longer than 15-20 minutes. They saved my life and I am truly grateful. He is an amazing doctor and shows much care and passion for his job.He listens to patient concerns and makes all referrals necessary for the patient.He has good bedside manners.checked on me after surgery to make sure i was ok.I am glad i found him.He is the best. 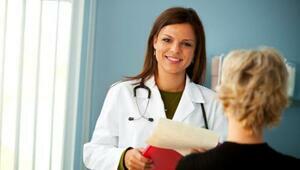 After relying heavily on my general practicioner for my OB/GYN care, my symptoms progressed quickly and aggressively. I came to Dr Schlafstein in March of 2016 and he immediately ran tests and scheduled me for surgery. Dr. Schlafstein takes a LOT of time with his patience and focuses on asking the right questions and providing patients answers to theirs. I eventually had to be referred to an oncologist for cancer but Dr Schlafstein caught it early. Worth the waiting room wait!